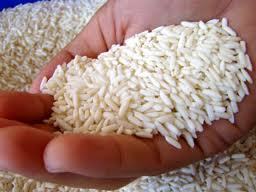 SARONNO, Italy - Since moving to Italy my fondness for rice has increased considerably. Growing up in America on Uncle Ben's, my rice recipes were, well to be truthful, bland. They consisted of either a white rice ring for some kind of meat and gravy dish, usually left-over from the day before, or plain boiled rice with butter when the potatoes I planned to cook turned out to be past their prime. Once in a while I would add a chopped pepper, a diced onion, some cooked ground beef and a can of tomatoes to a pan of plain boiled rice to create that bit of American exotica known as Spanish Rice. But that was all B.I., Before Italy. I clearly remember the day I had my first real risotto experience. It was a snappy fall day and I had taken the train from Genova, where I lived, to Torino to spend the day shopping and browsing in the many bookstores that city offers. Wandering through the small streets near Via dei Mercanti in the city's historical center, I stopped at a small trattoria for lunch. Most of the dishes on the menu were written in local dialect, and knowing the Turinese fondness for sweetbreads and other animal innards I'd rather not ingest, I chose the only thing I recognized - risotto. And what a risotto it turned out to be! Thick and creamy, fragrant with the rich aroma of Parmesan cheese and porcini mushrooms - I felt like I was having an out-of-body experience and had floated off to culinary heaven. The next day I headed straight for the grocery store to buy rice. I wanted to try my hand at duplicating that ethereal rice recipe. What I found overwhelmed me. There were more types of rice than I had ever realized existed. I must have spent 20 minutes or more reading all the labels before I finally settled on one of the many that said "ideal for risotto". But if I tell you that my first attempt at risotto making was a success I'd be lying. It wasn't bad, but it lacked that creamy consistency of the risotto I had in Torino. As it turned out a year or so later I moved to Milan. Much to my surprise, the Lombards turned out to be fanatical rice eaters. Evidently rice has been the primary food crop Lombardy for more than 500 years. Locals tell me it all started in the mid 1400’s after the Duke of Milan, Francesco Sforza, hired Leonardo DaVinci. He asked him to design a system to irrigate the flat outlying area south of the city, near Vigevano, so it could be cultivated. Today, Italy is Europe’s number one rice producer and more than half of all the rice produced comes from the Vigevano rice fields and the rice fields near Vercelli, all still irrigated by canal system designed by Leonardo DaVinci. Talking to the Italian mamas in the grocery store, I learned that just like pastas, the rice you use depends on what you are making. If you want to make risotto, they said, use a superfino like Arborio. 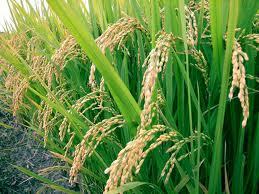 It has a small grain which is particularly resistant when cooked and as a result the cooked rice is not sticky. 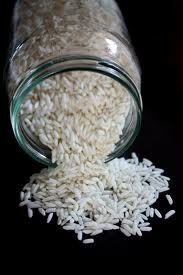 It is probably the best selling rice in Italy. Another type they recommended for risotto was Vialone Nano, a cross between Vialone and Nano, or dwarf rice, so named because it grows on such low plants. It’s cooking characteristics are similar to Arborio. But in their collective opinion, the King of risotto rice is Carnaroli. It is the absolutely the best they say because it remains firm in the center but takes on a perfect, creamy consistency, and who am I to argue with an Italian mama?